The new swimming pool in Stumm offers relaxation and fun. At the spacious outdoor swimming pool the water rats will feel perfectly at home. Sports pool, adventure pool with great attractions (water slide length 62 m, wide slide “Trio-Slide”, rapids, water mushroom, massage tables, massage benches and fountains. children’s pool with play stream, snake slide, wave slide and water cannon. Swimming pool with diving boards 1-meter springboard and 3-meter board. Beach volleyball court, snack bar and terrace. 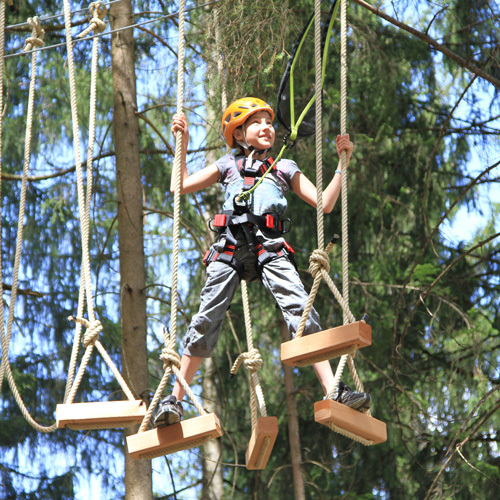 A very special attraction in the SEETAL Adventure Park – the climbing tower for beginners and pros. Unique in the Zillertal! 8 meters high, 90m² sheltered climbing surface. Professionally-taught courses, both introductory and advanced, for adults, kids, teens (ages 6 and up). All the courses are taught by trained climbing instructors! The unforgetable adventure from 550 to 2.020 m above see level. The Zillertal Panorama road is one of the most beautiful Alpine roads in Austria. It offers visitors a spectacular ride to an altitude of up to 2.020 m, either in their own car, on a coach, on a sheduled bus service, or even by bike and provides unforgettably beautiful panoramic views of the Zillertal Alps. 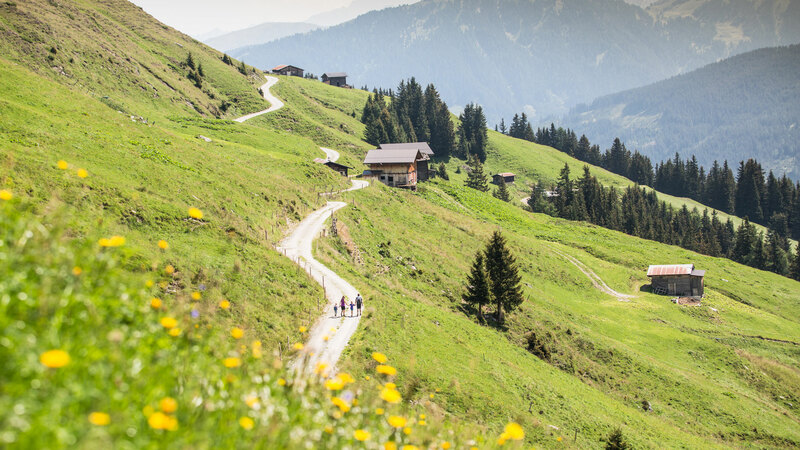 The Zillertal Panorama road is also the starting point for a large number of mountain walks and also leads to a number of working Alpine meadows. 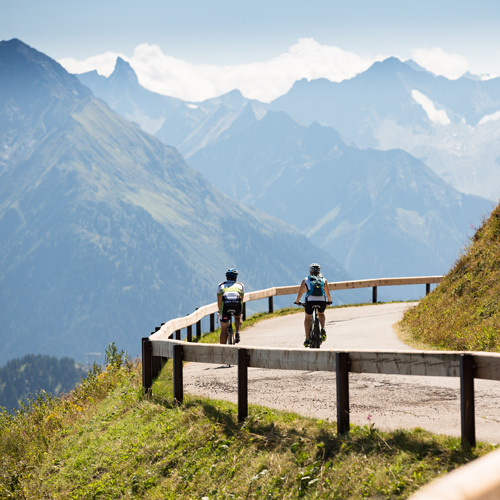 The 48km long panorama road takes you up to 2.020 m above sea level where you will enjoy fabulous views of the Zillertal, the Inntal and to the breathtaking Zillertal mountains. Open from the mid of May to end of October. Drive up and down in Ried, Kaltenbach, Aschau, Zellbergeben and Hippach. Zillertaler Höhenstraße – what a great view!! The Zillertal trip for young and old, right on the Zillertal Panorama Road. 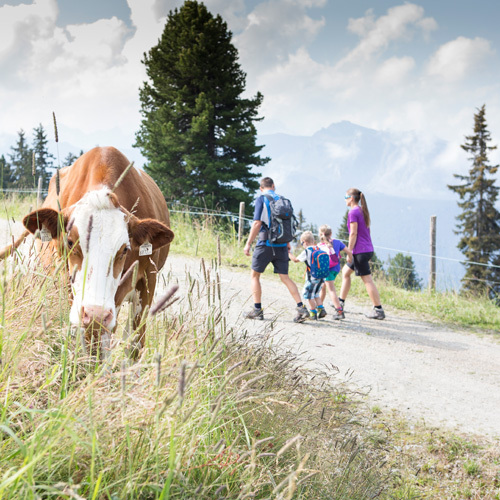 The Murmelland Zillertal offers unique experiences at 1800m above sea level – conveniently accessible by car or bus along the Zillertal Panorama Road. 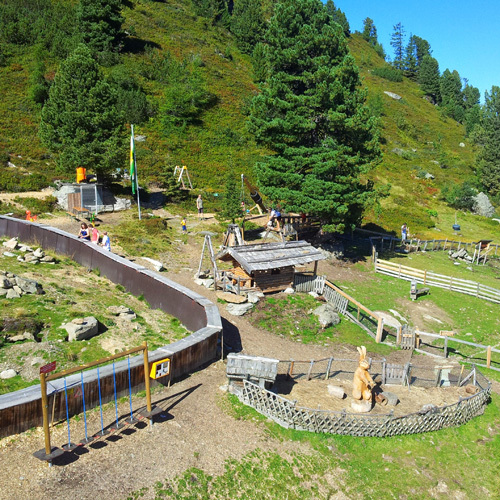 Around the Kaltenbacher ski huts a alpine-marmot park with adventure playground has been created to bring the visitors, next to games and fun, closer to nature in the form of alpine-marmots. The new tobogganing fun in the Zillertal Valley inspires not only the kids: fun, action and speed await you on the first Alpine rollercoaster in the Zillertal Valley. 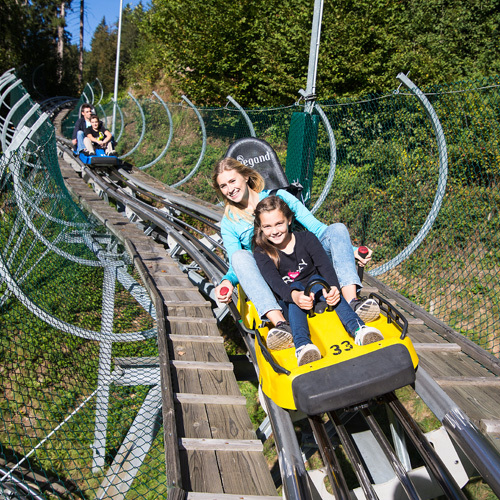 The 1,450 m of coaster fun begins right at the Zillertal Arena Valley Station in Zell and promises to be the biggest summer and winter attraction with its many waves, steep curves and jumps. A 360° loop and a 540° loop will get adrenaline pumping even more. 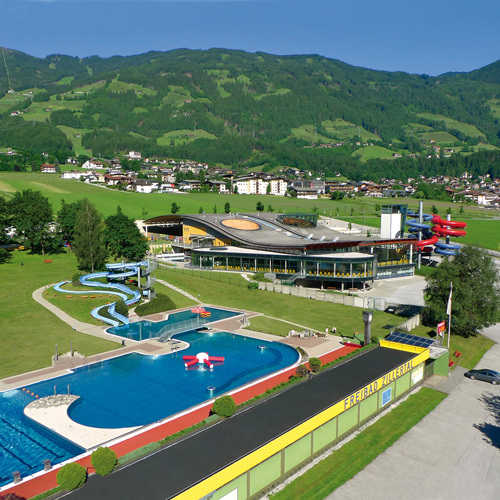 Visit the Erlebnistherme Zillertal for fun & relaxation! Treat yourself! 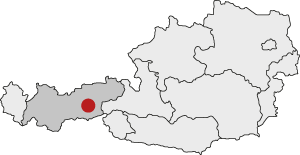 The Zillertal’s Number One Water and Wellness Region! 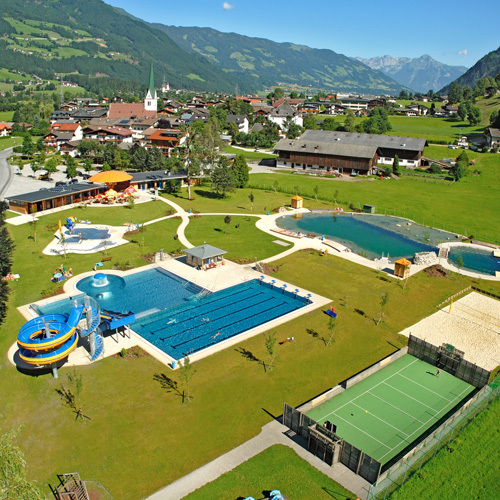 A visit to the Erlebnistherme Zillertal in Fügen offers a real treat, with its annexed open-air pool, sun terrace, spacious family and children’s areas, gastronomy, slides, relaxing zones and much more. It is the only combination of an open-air pool and Erlebnistherme spa complex in the Tyrol. NEW since October 2009, a water slide which is 134 m long! The Erlebnistherme ensures that even on rainy days there is no need for anybody to get bored. For Wellness enthusiasts, who don’t like to do without their aromatic steam bath or light sauna even in the summer, there is a peaceful and yet very energising sauna and wellness area. There is plenty for the children as well, with the 133 m long fun slide (with chronometer) – the longest in western Austria – as well as bubble grottes with a waterfall, climbing nets and a large area for the smaller children ensuring never ending fun, while their parents relax on the sun terrace. Sun and snow surrounded by an endless sea of alpine peaks. 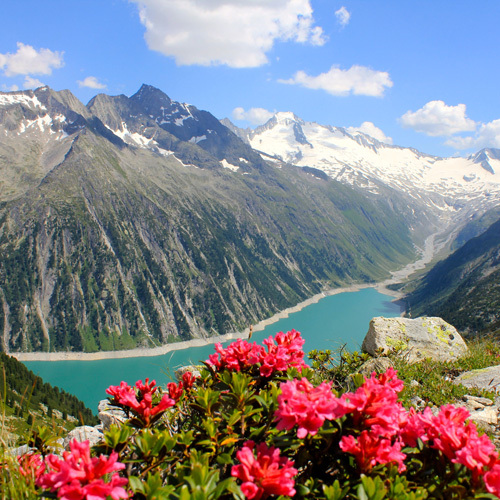 All four seasons of the year can be experienced at once in summer in Tux in Zillertal! Almost no other place on earth can offer such diversity as Austria’s only summer ski region, the Tyrolean glacier ski region at the Hintertuxer Glacier. Regardless of preference, skiers, boarders, walkers, day trippers, extreme sports enthusiasts and nature lovers will be hooked! Starting with summer skiing on 20 km of sun drenched pistes (9 lift systems), snowboarders will delight in the Halfpipe, Funboxes, Table-Tops und Rails at the Betterpark. 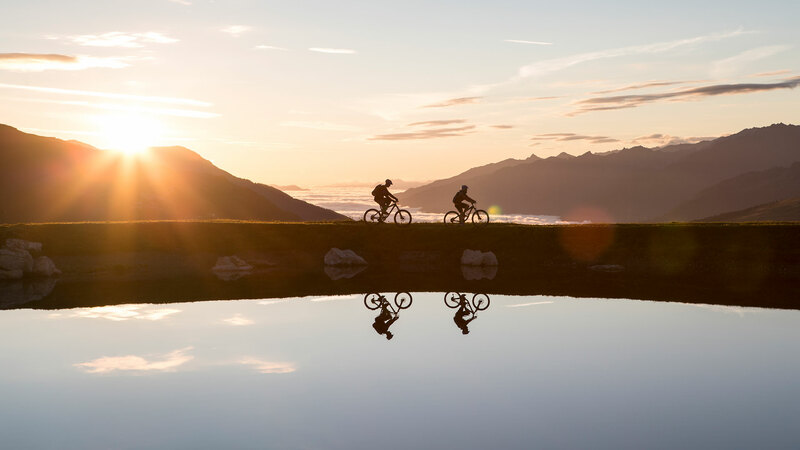 The choice of activities goes on, with a myriad of mountain bike and hiking trails, glacier tours and the Gletscherflohpark for younger guests – there really is something for everyone! A fascinating natural attraction for young and old has to be a guided tour through the Spannagel Caves. Experience at first hand the distinctive geological characteristics of layers of ice sheets way under the Tyrolean glacier. The Spannagel Caves currently measure over 10km long and are the largest rock caves in the entire Central Alps, as well as being the highest caves open to the public in Europe. Lean back and relax right next to the window. Take your time and spend the most beautiful moments among friends in a very special ambiance. 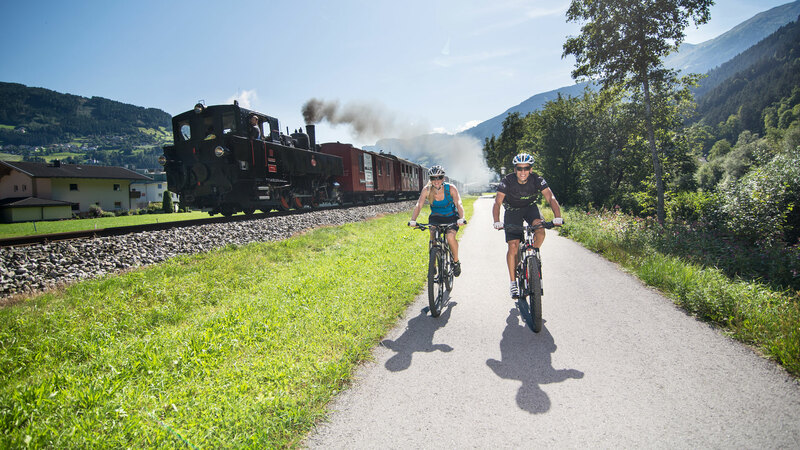 Enjoy an adventurous ride in the Zillertal nostalgia train and experience a romantic ride across unspoilt nature landscapes and picturesque valleys. Forget the hustle and bustle of everyday life and restore your energies. A unique ride in the Zillertalbahn team train creates memories that will stay with you forever. 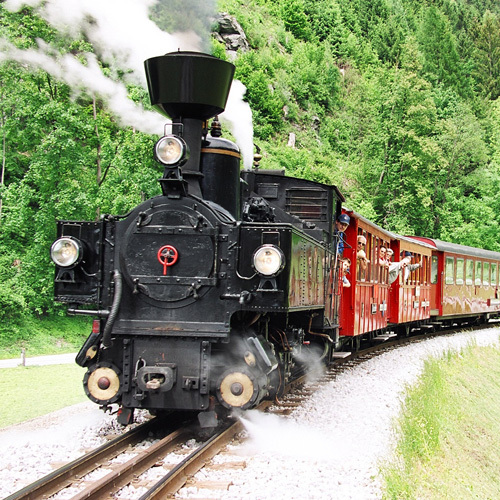 Steam raises from the cylinders and you can hear a locomotive chuffing – it is the Zillertal Railway running into one of the lovliest valleys of Tyrol with about 35 kmph. The way is the goal, that’s the motto. This railway dates back to a time when train journeys were a real exciting event. However, still today journey with the Zillertalbahn railway is a special event. The Schlegeis Alpine Road starts at the alpine village of Ginzling. The 13,3 km long Schlegeis Alpenstraße starts at 1.250 m altitude and leads over eight hairpins and four tunnels of natural stone to the parking areas at the Schlegeis reservoir at around 1.800 m above sealevel. Along the street you will see some marked points of interest, e.g the fotospot Schlegeis dam. The single lane part of the road between the tollbooth “Breitlahner” and the Spiegelschlagtunnel II is regeulated by traffic lights, the waiting period however is 15 minutes at the maximum. An excursion to the Schlegeis Reservoir is an impressive journey into the high-mountain world of the Zillertal Alps. The unique forests of Swiss pine, the imposing dam wall of the Schlegeis reservoir, the green water of the reservoir itself, the alpine meadows and the ice of the Schlegeisferner all make powerful impressions. 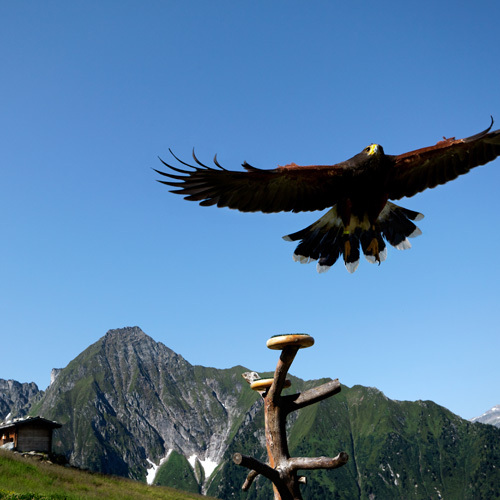 The 4 resorts of Zell, Gerlos, Königsleiten/Wald and Krimml can provide as much fun in the summer as in the winter. Just take one example: it’s really easy going with the 8-seater gondola lift from Zell to the Rosenalm. The tour begins on Trail No. 10, which leads up to the Kreuzjochgipfel (2,559 m). The Kreuzjochgipfel is a top-ranking panoramic mountain. The view extends from the Ötztal Alps as far as the Hohe Tauern, encompassing the whole of the Ziller Valley, the Gerlos Valley and all of the Ziller Valley glaciers. Follow the trail markings to get to the Krimmlalm and the Langensee in the Wilde Krimml. Descend via the Krummbach Valley, passing the Pröller Alm (traditional mountain hut) to reach Gerlos. The really adventurous can carry on towards Königsleiten/Wald. Alternatively, you can take the bus back to Zell.